Distance can be a significant obstacle to endure in a relationship. It can begin to fray away at the intimacy and connection that’s needed for a relationship to last and thrive. Thankfully, there are some steps that you can take to keep your long-distance relationship on a steady, positive and loving path. 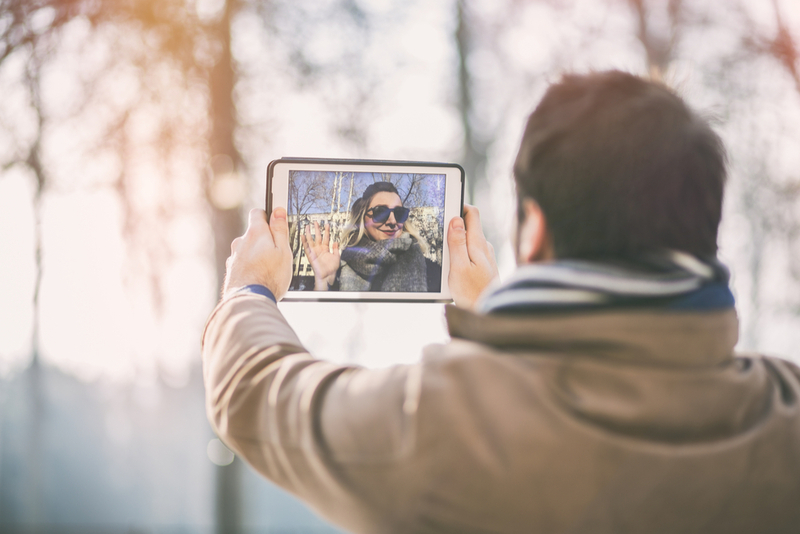 If you’re wondering how to stay close in a long-distance relationship, consider some of these expert suggestions to help keep that connection strong, no matter the distance between you and your partner. Trust is the fundamental component of any successful, loving relationship – especially long-distance relationships. Without trust, your connection cannot continue to grow in a positive, healthy direction. It’s important to talk to your partner and discuss issues surrounding trust, boundaries and what you both agree on in order to keep the integrity of your relationship alive. Staying close in a long-distance relationship means also recognizing and highlighting those little moments or subtleties that can warm your heart. The thought of a phone call, hearing your partner’s laughter, sharing news about your day, and simply hearing their voice, are examples of what needs to be cherished and embraced. Luckily, we have the benefits of technology to take advantage of, and there’s no better way to connect virtually face-to-face than through an online platform. Programs like Skype give you the ability to bring each other closer into your daily life when you’re far away. You can cook together while chatting; you can watch a show with each other plugged in to converse during your favourite parts, and so much more. Maintaining a romantic and loving connection in a long-distance relationship also requires rituals that take precedence throughout your daily schedule and routine. You must make time for each other a priority, even if that means placing other plans on hold. Since there’s no real in-between time in long-distance relationships to enjoy, it means you really have to carve out that time for interacting and connecting. Sure, being physically intimate is something that isn’t possible with distance in-between, but that doesn’t mean you can’t share other ways of intimacy. Emotional, mental, spiritual, and even cultural intimacy are also meaningful ways to connect and thrive in your relationship. It’s important to recognize the different types of closeness and not to feel defined or limited by certain ideals or standards set by others in their relationship. Fostering a strong, healthy and loving connection and staying close in a long-distance relationship is entirely possible when you can build a solid foundation of trust. And by recognizing that your relationship shouldn’t be defined by any other ideals but the ones you both set, you can learn to thrive, despite the distance between you and your loved one.